Hello! 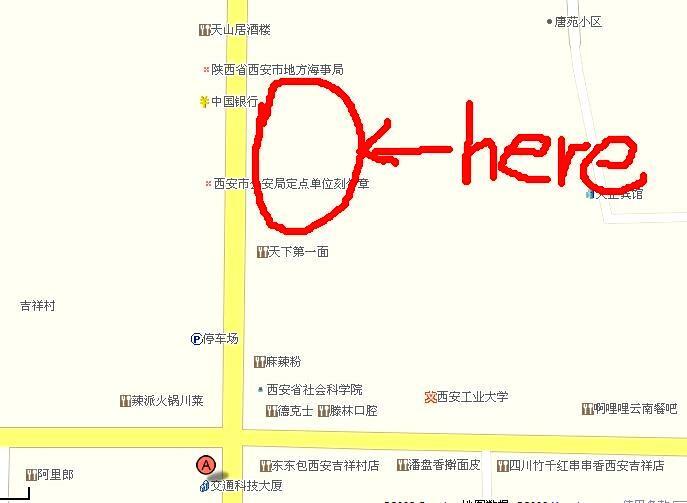 I have a new apartment in YanTa District, Xi'an City. It is on the 12th floor with one bedroom, the floor space is 77 square meters. It is pretty nice. Location: It's situated in the cultural district in the city. Next to The Xi'an Tang Cheng Hotel ， The apartment is serviced apartment and is part of Yi-He Palace Hotel, 10 mins walk to XiaoZhai, 2 min walk to bus stations ,More than 10 bus station to go anywhere in Xi'an. Condition: The community environment is pretty good, many restaurants and supermarket just 5 mins walk , 24 hour hot water, central heating,security, patrol, and security door.The apartment has a modern kitchen equipped with all house appliances. It has 1 bedroom\1 livingroom\1 bathroom\1 kitchen\1 study(All faceing south). Available Now -Studio Apartment(One bed room, sleeps 2) for rent within Xi'an High Tech Zone, suitable for singles, couples or small business office use. New renovation with full private kitchen and all morden facilities.South Facing Balcony & Windows .Central location with private parking space. Holiday stay,short term let or long term leasing are all welcome.